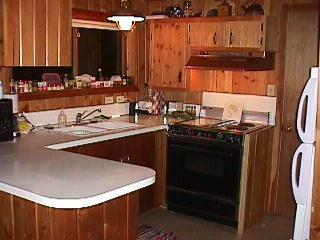 This is the very compact kitchen. It is supplied with most every cooking tool the average chef should need. You will also find many spices and baking ingredients. There is a 1/2 bath off the kitchen. You can just see the door to it behind the refrigerators.